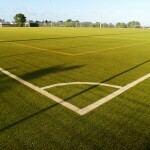 There are a number of designs to choose from when it comes to installing hockey pitch surfaces. It really depends on your budget and what kind of playing qualities you want from the facility. 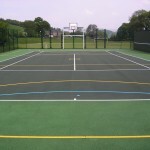 We are able to install different surfacing types in a variety of designs to suit every project. 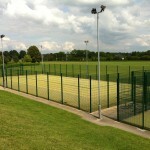 These facilities are often built at schools, colleges and local sports clubs for both competitive and recreational use. Our team are able to install the groundworks, sub base, artificial grass surfacing and any additional features and equipment that may be required. 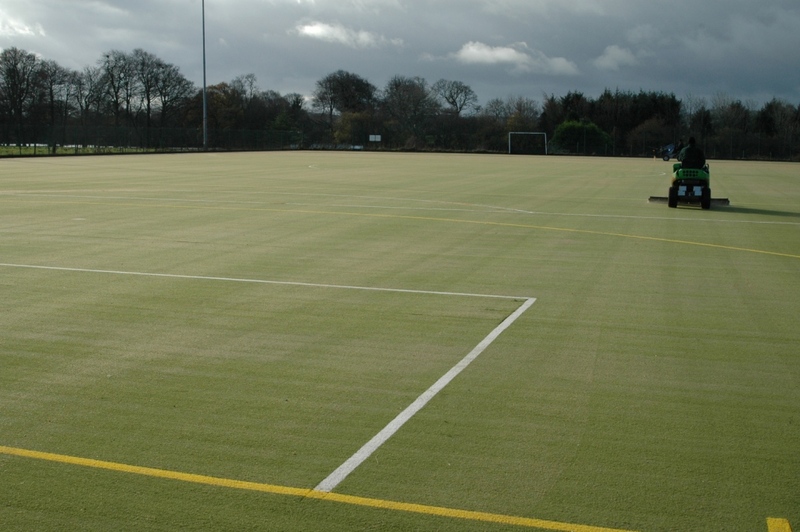 Please get in touch with us through the contact form if you are thinking about installing a new hockey pitch. We will provide all the information you need on the specifications, as well as some advice on the costs for these services. Just send over some details of the kind of work you need carried out, along with your location and a rough idea of the budget. 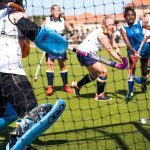 The perfect material for artificial hockey pitch surfaces is the 2G sand filled synthetic carpet which has sand particles installed at the base of the turf yarn. 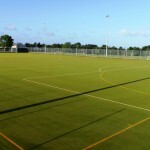 The short grass fibres allow for a smooth playing field that is perfect for quick paced sports such as hockey and tennis where the ball has to roll across the ground or make contact with the ground. This means that the surfaces have to be smooth and not have any contours that could disrupt the flow of play. 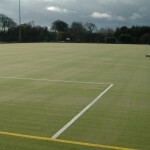 The surfaces such as 2G pitches and sand filled surfaces are very easily maintained through proactive hockey pitch maintenance methods, such as spreading the sand around allowing for the fibres to have the stability they need to maintain good performance characteristics and provide a positive playing experience for those who use it. The video here shows an installation of sand filled turf for a hockey facility. Our team completed the full process including laying the base, shockpad and the synthetic grass itself. 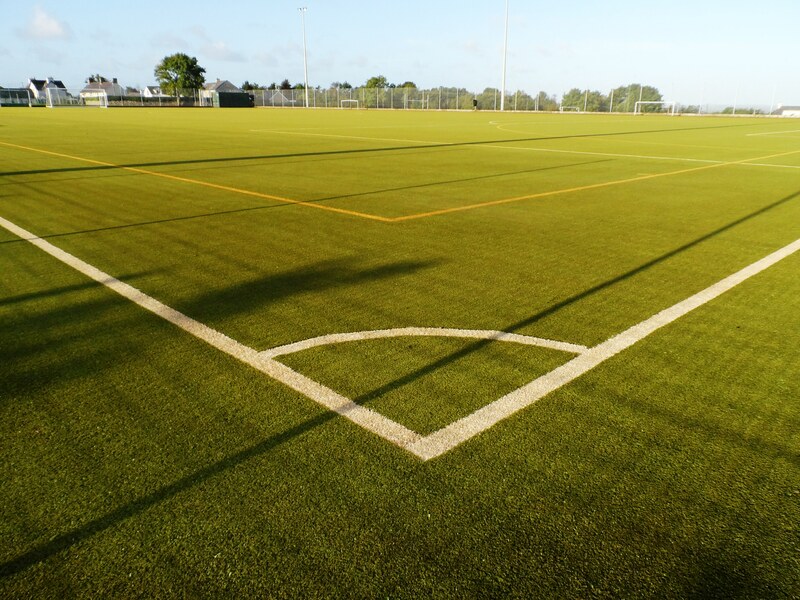 The sand filled pitches are extremely durable due to their short pile height, this means that they can have an extremely large amount of usage, so renting the sports pitch out to local clubs and teams could be a great method of getting a return on investment. They can last for a long time and with the correct use of maintenance and cleaning, have very long product lives. It is without a doubt the perfect specification for hockey pitch surfaces. 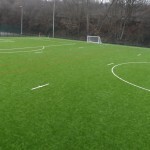 You can also have professional line markings applied to your artificial turf surface to ensure accurate game play and distinguish between different sports if the facility is going to be used as a multi sports area. The 2G sand filled surface price will mainly vary on the size of the job, as a full sized facility would cost significantly more than a half sized pitch. 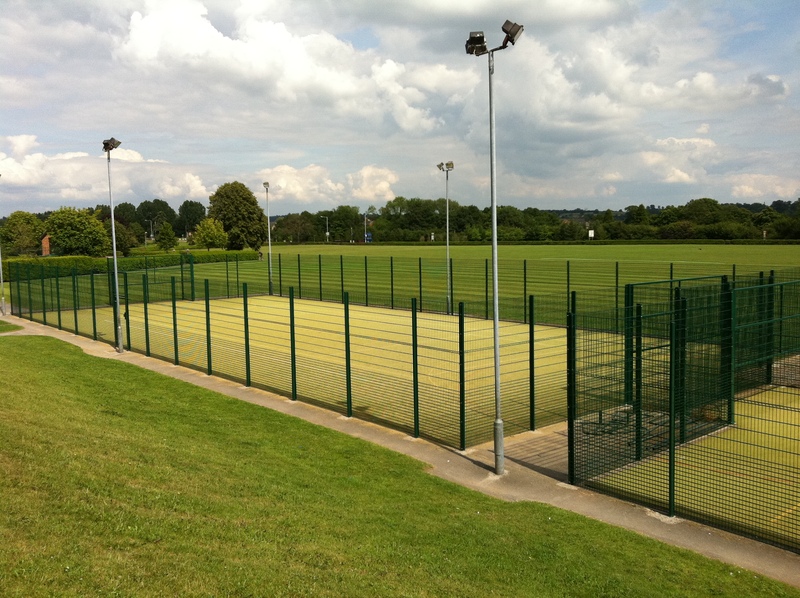 We can also offer a lot of different extras that can be changed such as floodlighting and fencing for hockey pitches, this can massively help you stick within your budget also reducing the costs and it also gives you the flexibility to change and customise your sports surface so that it’s perfect for your institution. It’s important for us that you stay within you budget and don’t have to overspend to get your perfect sports facility. It’s also important that you properly maintain your sports pitch and take a proactive approach to looking after it properly. With a little maintenance each month it’ll greatly increase the product life of the pitch, allowing for more usage over a long stretch of time, ultimately making the investment extremely worth it. The location of the job will also play a part in the pricing for it, as it will affect the travel costs and the amount of time needed to carry out the project. Our main aim is to offer a high quality product that fits within your budget and still provides you with a great end result that your organisation can enjoy for a long time. We’ll be able to supply any information you need on these various products and designs. Just fill in the enquiry form today and let us know the details of your project including an area size, location and the work that needs to be done. One of our specialists will then be able to discuss the costs and different specifications that we can offer for you. 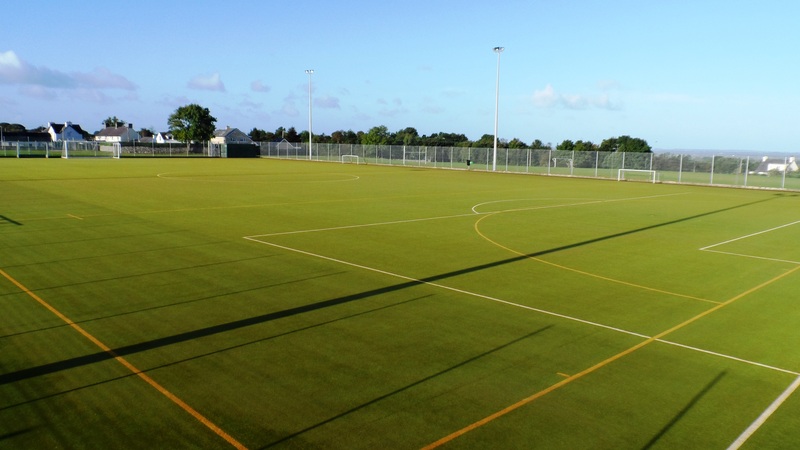 We have installed many hockey pitch surfaces at a range of organisations so don’t hesitate to ask for more information or advice on these services. We’ll send you some case studies of our previous work and explain the full installation process in detail.